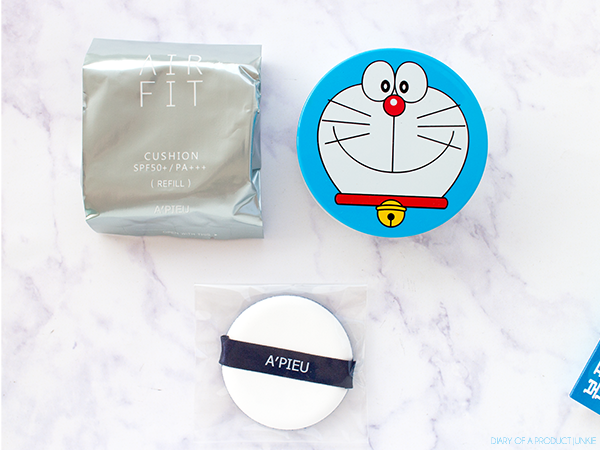 The cushion comes in an adorable blue box that has Doraemon printed on it. It has a list of ingredients and information on the product, but all of it is written in Korean, so I'll skip the part where I explain the ingredients in detail. 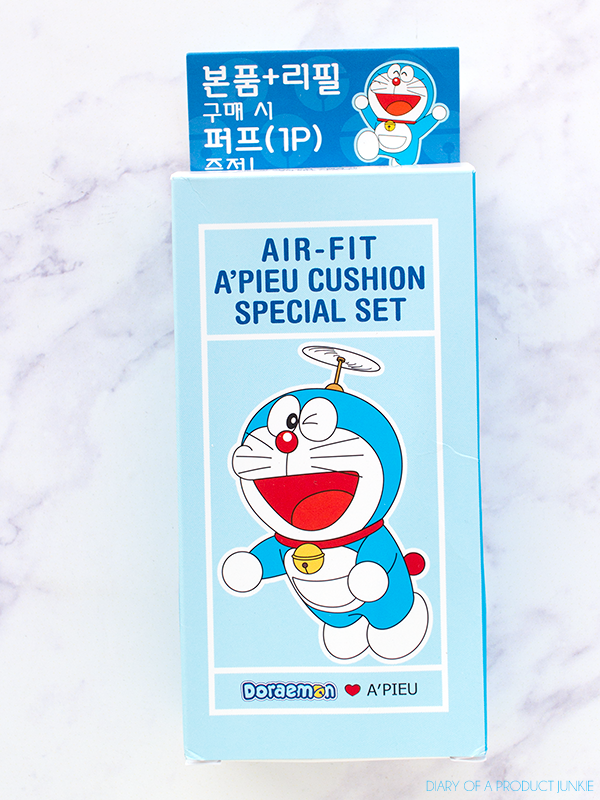 The Doraemon edition cushion comes with one Doraemon case filled with the cushion and the puff along with another refill and an extra puff. It was quite surprising because I thought it only comes with the case, cushion and puff. The shade I chose is #23, the darker shade out of the collection. My skin always tend to match the darker ones if it is Korean makeup. As with most Korean base makeup, it is a darker beige that has a yellow undertone. It gives a satin finish on my combination skin. 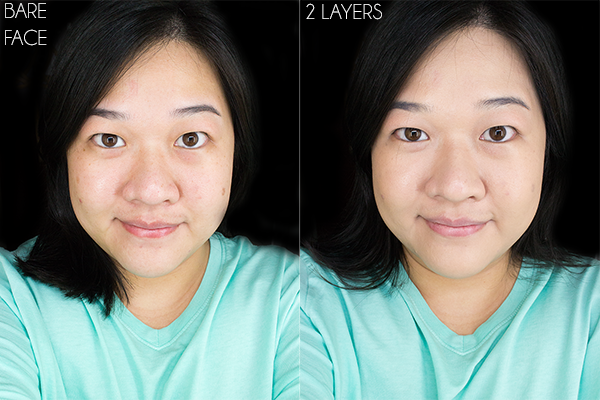 I like using just one layer of this BB cushion because two layers makes my face look cakey. It conceals redness on my cheeks and edges of my nose, but not sun spots. Overall, I enjoyed using this cushion as an everyday makeup base as it provides me enough coverage and still looks like skin. 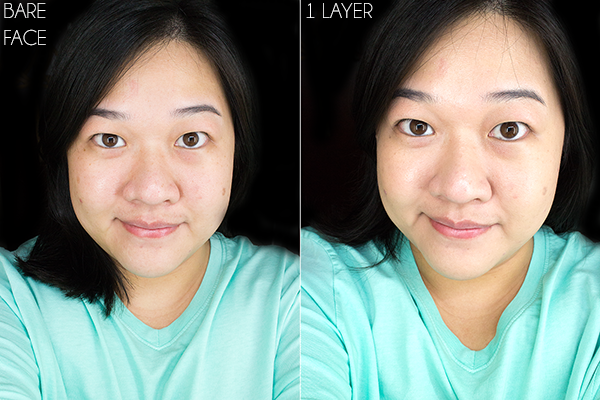 I don't mind that it doesn't cover up my sun spots because I don't need full coverage on a daily basis. Oil control is great when I pair it with a mattifying powder afterwards. :( ini di aku jatohnya cakey ce, di cc klu 2x layer, di aku 1x layer plus dry patch dimana mana >.<"
Pdhal packaging yg seri doraemon n garfield lucu banget..